Макдевит, Джек (McDevitt, Jack) - рабочее имя Макдевита, Джона Чарлза (McDevitt, John Charles) (р. 14 апреля 1935, Филадельфия, Пеннсильвания [Philadelphy, PN]) - американского писателя-фантаста. Окончил Ун-т Ласалля (La Salle University) (1957). Служил на флоте. Работал шофером такси. Окончил Ун-т Уэсли (Wesleyan University, Коннектикут) (M.A., 1972). Преподавал литературу и драму в колледжах. С 1975 - сотрудник Таможенной службы США, motivational trainer, работал в Северной Дакоте и Джорджии. Вышел на раннюю пенсию и стал профессиональным писателем. Живет в Брунсвике, Джорджия (Brunswick, Georgia). Жена - Морин Мак-Адамс(Maureen McAdams), трое детей, сын Кристофер (Christopher). Первая НФ публикация - рассказ "Фунт лекарства" ("A Pound of Cure", 1954), опубликован в университетском литературном журнале. Первая профессиональная НФ публикация - рассказ "Эффект Эмерсона" ("The Emerson Effect", 1981). 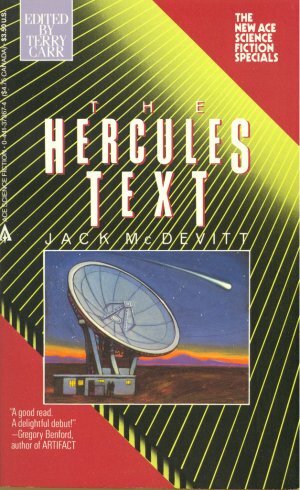 Первая книга - НФ роман "Текст Геркулеса" ("The Hercules Text", 1986). Лауреат премии Ф.К. Дика за роман "Текст Геркулеса" (1987, 2 место). Лауреат премии "Гомер" (HOMer) за рассказ "Путешественники во времени не умирают никогда" ("Time Travelers Never Die", 1996). Премия "Локус" за дебютный роман - "Текст Геркулеса" (1987), в номинации лучшего НФ романа - 23 место, повесть "Голос во тьме" ("Voice in the Dark"), собственно, отрывок из романа, заняла в своей номинации 7 место. Darrell Award for Best MidSouth Novel (1998) за роман "Дорога вечности" ("Eternity Road", 1997). Phoenix Award (2000) за творчество в целом. $10,000 UPC International Prize за повесть "Корабли в ночи" (“Ships in the Night”, 1993). 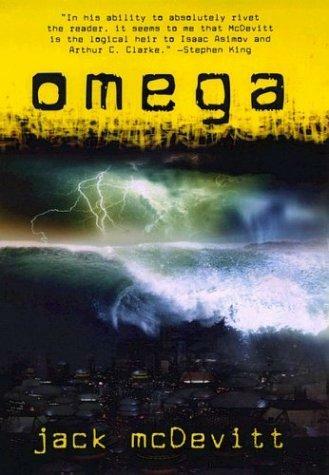 Лауреат John W. Campbell Award за роман "Омега" (2003). Премия "Небьюла" за роман "Искатель" ("The Seeker", 2006). Участник Deepsouthcon 2000, Chattacon XXVI (Chattanooga, Tennessee), Philcon 2003. Произведения М. переведены на венгерский, польский. Не путать с Джеком Макдевитом (Jack McDevitt), специалистом по преступлениям, вызванным мотивами ненависти к расовым и социальным группам (hate crime). Обложка романа "The Hercules Text" (1986). Обложка романа "A Talent for War" (1989). 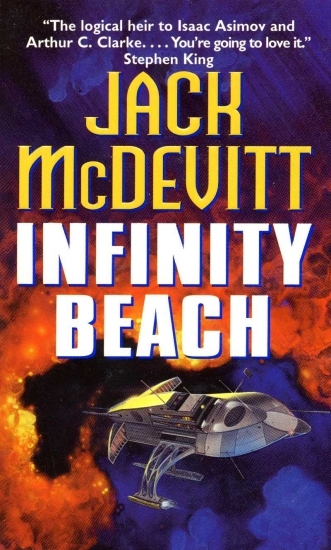 Обложка романа "Infinity Beach" (2000). 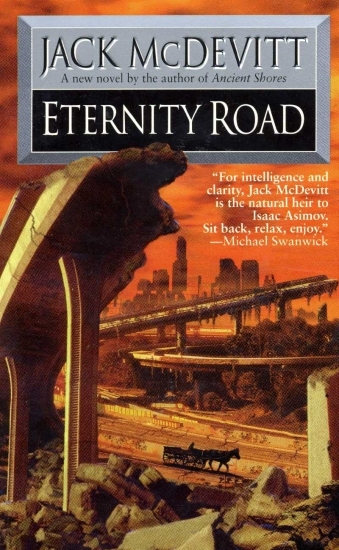 Обложка романа "Eternity Road" (1997). Act of God (ss) //Microcosms /Ed. by Gregory Benford. - DAW, 2004. Act of God (ss) //Year's Best SF 10 /Ed. by David G. Hartwell & Kathryn Cramer. - HarperCollins/Eos, 2005. Auld Lang Boom (ss) //IASFM, 1992. Oct. P. 102-113. The Big Downtown (na) //Down These Dark Spaceways /Ed. by Mike Resnick. - SFBC, 2005. Black To Move (ss) //IASFM, 1982. Sep.
Blinker (ss) //Analog, 1994. Mar. P. 80-93. Cruising Through Deuteronomy (ss) //F&SF, 1995. Jun. P. 51-55. 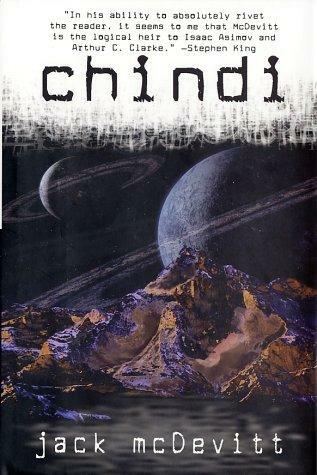 Cryptic (ss) //The Year’s Best Science Fiction, First Annual Collection /Ed. by Gardner R. Dozois. - Bluejay, 1984. P. 237-252. Cryptic (ss) //Isaac Asimov’s Aliens /Ed. by Gardner R. Dozois. - Ace, 1991. P. 21-40. Cryptic (ss) //Gedanken Fictions /Ed. by Thomas Easton. - Wildside, 2000. Date with Destiny (nv) //When the Music’s Over /Ed. by Lewis Shiner. - Bantam Spectra, 1991. P. 233-256. Dead in the Water (ss) //Not of Woman Born /Ed. by Constance Ash. - Roc, 1999. Deus Tex (ss) //Realms of Fantasy, 1996. Feb. P. 56-59. Dutchman (nv) //IASFM, 1987. Feb. P. 70-91. Ellie (nv) //IASFM, 1995. May. P. 94-111. The Emerson Effect (ss) //Wondrous Beginnings /Ed. by Steven H. Silver and Martin H. Greenberg. - Daw, 2003. Glory Days (ss) //F&SF, 1994. Aug. P. 8-20. [With Stanley Schmidt] Good Intentions (nv) //F&SF, 1998. Jun. P. 6-34. Gus (nv) //Sacred Visions /Ed. by Andrew M. Greeley & Michael Cassutt. - Tor, 1991. P. 1-34. Holding Pattern (ss) //Realms of Fantasy, 1996. Dec (v3 #2) P. 58-65. In the Tower (nv) //Universe 17 /Ed. by Terry Carr. - Doubleday, 1987. P. 134-180. It’s a Long Way to Alpha Centauri (nv) //Pulphouse: The Hardback Magazine Issue 8 /Ed. by Kristine Kathryn Rusch. - Pulphouse, 1990. P. 63-84. Iruption (ss) //Future Washington /Ed. by Ernest Lilley. - WSFA Press, 2005. Lake Agassiz (ss) //Full Spectrum 3 /Ed. by Lou Aronica, Amy Stout & Betsy Mitchell. - Doubleday Foundation, 1991. P. 144-158. Last Contact (ss) //IASFM, 1988. Jun. P. 36-57. Leap of Faith (ss) //IASFM, 1989. May. P. 93-99. Midnight Clear (ss) //Christmas Forever /Ed. by David G. Hartwell. - Tor, 1993. P. 11-24. The Mission (ss) //Crossroads: Tales of the Southern Literary Fantastic /Ed. by Brett Cox & Andy Duncan. - Tor, 2004. Never Despair (ss) //IASFM, 1997. Apr. P. 33-41. Nothing Ever Happens in Rock City (ss) //Nebula Awards Showcase 2004 /Ed. by Vonda N. McIntyre. - Roc, 2004. A Pound of Cure (ss) //Four Quarters, 1954. Promises to Keep (nv) //IASFM, 1984. Dec. P. 42-62. Promises to Keep (nv) //The Year’s Best Science Fiction, Second Annual Collection /Ed. by Gardner R. Dozois. - Bluejay, 1985. P. 45-62. Promises to Keep (nv) //Christmas Stars /Ed. by David G. Hartwell. - Tor, 1992. P. 183-204. Promises to Keep (nv) //Isaac Asimov’s Christmas /Ed. by Gardner Dozois & Sheila Williams. - Ace, 1997. P. 1-21. Promises to Keep (nv) //Explorers: SF Adventures to Far Horizons /Ed. by Gardner Dozois. - St. Martin’s Griffin, 2000. Promises to Keep (nv) //Exploring the Horizons /Ed. by Gardner Dozois. - SFBC, 2000. P. 341-354. Report from the Rear (ss) //Aboriginal SF, 1998. Spr. P. 56-59. Ships in the Night (nv) //Amazing, 1993. Oct. P. 72-96. Standard Candles (ss) //F&SF, 1994. Jan. P. 106-122. Sunrise (nv) //IASFM, 1988. Mar. P. 18-44. Talk Radio (ss) //Betcha Can’t Read Just One /Ed. by Alan Dean Foster & Martin H. Greenberg. - Ace, 1993. P. 19-34. Tidal Effects (ss) //Universe 15 /Ed. by Terry Carr. - Doubleday, 1985. P. 149-154. Time Travelers Never Die (na) //IASFM, 1996. May. P. 102-147. Time Travelers Never Die (na) //Time Machines /Ed. by Bill Adler, Jr. - Carroll & Graf, 1997. P. 119-170. Time’s Arrow (ss) //Timegates /Ed. by Jack Dann & Gardner Dozois. - Ace, 1997. P. 118-128. To Hell with the Stars (ss) //IASFM, 1987. Dec. P. 18-23. To Hell with the Stars (ss) //Christmas on Ganymede and Other Stories /Ed. by Martin H. Greenberg. - Avon, 1990. P. 1-6. To Hell with the Stars (ss) //The Loch Moose Monster: More Stories from Isaac Asimov’s Science Fiction Magazine /Ed. by Sheila Williams. - Delacorte, 1993. P. 270-275. The Tomb (ss) //What Might Have Been? Volume III: Alternate Wars /Ed. by Gregory Benford & Martin H. Greenberg. - Bantam Spectra, 1991. P. 157-176. The Tomb (ss) //What Might Have Been, Volumes III & IV /Ed. by Gregory Benford & Martin H. Greenberg. - SFBC, 1992. P. 128-142. Tracks (ss) //IASFM, 1989. Dec. P. 20-32. Translations from the Colosian (ss) //IASFM, 1984. Sep. P. 46-59. Tyger (ss) //IASFM, 1991. May. P. 16-25. Valkyrie (ss) //There Won’t Be War /Ed. by Harry Harrison & Bruce McAllister. - Tor, 1991. P. 45-56. Variables (ss) //F&SF, 1997. Jul. P. 62-68. Whistle (ss) //Full Spectrum 2 /Ed. by Lou Aronica, Shawna McCarthy, Amy Stout & Patrick LoBrutto. - Doubleday Foundation, 1989. P. 9-16. Windows (ss) //Cosmic Tales: Adventures in Sol System /Ed. by T. K. F. Weisskopf. - Baen, 2004. Windrider (ss) //IASFM, 1994. Jul. P. 112-124. Foreword //McDevitt J. Hello Out There. - Meisha Merlin, 2000. P. 17-18. Where Do You Get Those Crazy Ideas (ar) //Altair, 1999. # 4. Bishop, Michael. 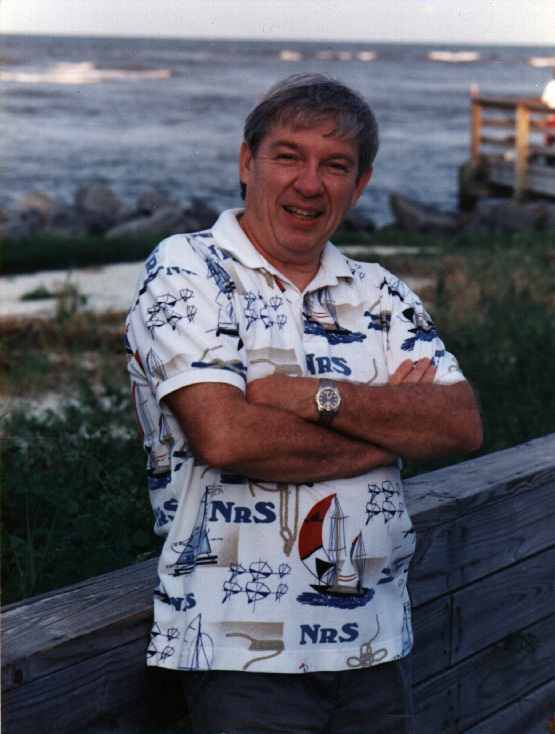 Voice and Virtue: Celebrating Jack McDevitt (ar) //Philcon 2003 Program Book. - PSFS, 2003. [Б.а.] 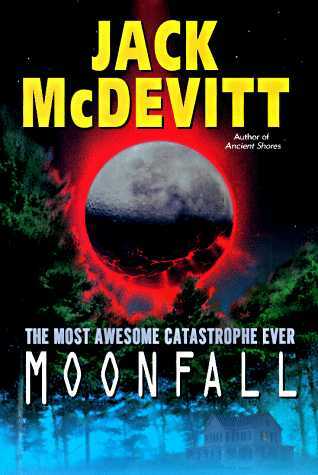 Macdevitt, Jack //Библиография фантастики. - М.: Келвори, 1996. С. 299. 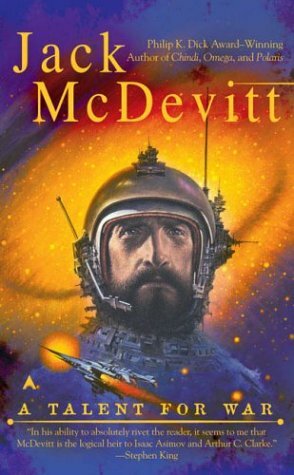 [JC] McDevitt, Jack //The Encyclopedia of Science Fiction. - N.Y.: St.Martin's Press, 1993. P. 750. 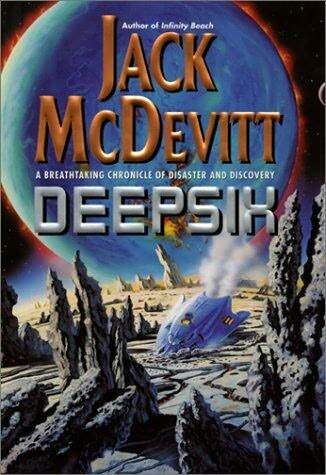 [JC] McDevitt, Jack //The Multimedia Encyclopedia of Science Fiction. Ver. 1.0. - Danbury, CT: Grolier Electronic Publishing, Inc., 1995.